Sukanto Tanoto’s journey as an entrepreneur traces back to 1967, when he helped his family manage a spare parts supply business to the oil and construction industry. 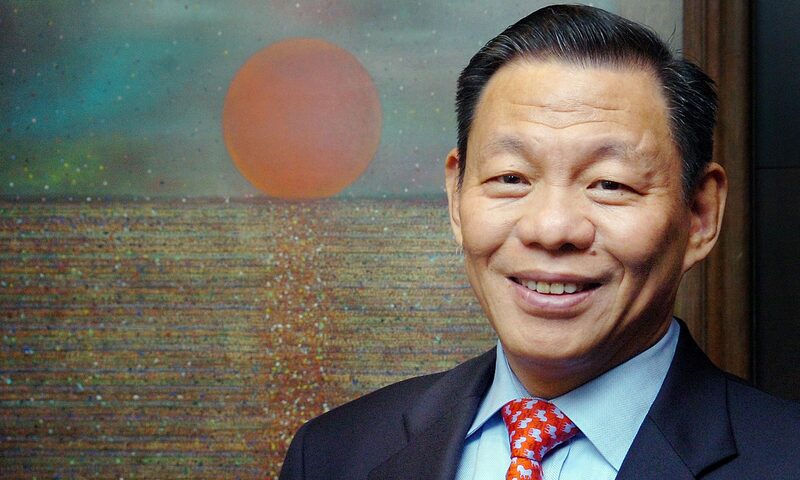 The early exposure to the world of business sparked in Sukanto Tanoto an enduring entrepreneurial spirit, and he continually sought to grow and diversify his businesses, overcoming numerous obstacles along the way. Sukanto Tanoto is today the Founder & Chairman of RGE (Royal Golden Eagle). RGE is a group of world-class companies with an asset base of over US$15 billion across pulp & paper, palm oil, viscose staple fibre, and oil & gas. These companies have operations in Indonesia, China and Brazil as well as sales offices worldwide. Even while he was pioneering his businesses, Sukanto Tanoto and his wife Tinah Bingei Tanoto became actively involved in 1981 with the establishment of a kindergarten and elementary school in a rural village called Bersitang, located in the Sumatera Utara province of Indonesia. Today, Sukanto Tanoto is the Founder & Chairman of the Board of Trustees of the Tanoto Foundation, a philanthropic organisation dedicated to poverty alleviation through education, empowerment and enhancement. Sukanto Tanoto is a member of the INSEAD International Council, the Wharton Board of Overseers and various other educational, community and industry bodies. He is a recipient of the Wharton School Dean’s Medal Award, which recognises individuals for their contributions to the enlargement of the global economy and to the improvement of lives worldwide.